Borneo is the world's third largest island and it's a well-known haven for a huge variety of flora and fauna including orangutans, proboscis monkeys, bats, sharks, turtles and thousands of birds coupled with untouched jungle, beaches and some of the world's best diving. For many years it's been a place I dreamed of visiting, so what better time to visit a place of dreams than for a special holiday - a three week Borneo honeymoon? 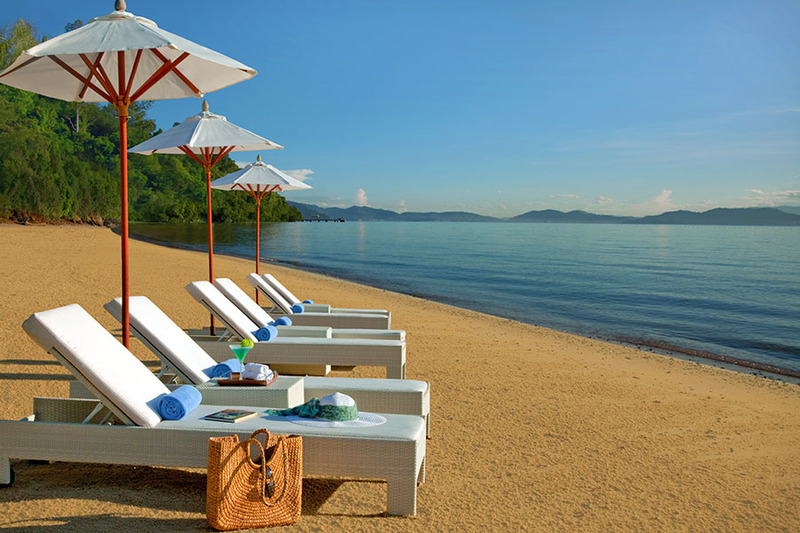 After all the organisation and planning involved in our wedding, we needed a few days to relax at the start of our honeymoon so we headed straight to the Shangri-La Rasa Ria. Only 40 minutes from Kota Kinabalu, it's one of the best hotels we've stayed at and would suit anyone wanting a spot of luxury. With a gorgeous 3km stretch of white sandy beach, complimentary water sports, lovely pool and restaurants and a 64 hectare nature reserve it's all-encompassing! When we visited, the Rasa Ria had a shelter for rescued orphan orang-utans who lived here before moving to the famous Sepilok sanctuary and gradually being reintroduced into the wild. The hotel no longer has its own sanctuary, so I would highly advise you ask us to plan in a visit to the sanctuary at Sepilok if you have time to visit; it gives you an opportunity to see these beautiful animals up close. After a little relaxation at the Rasa Ria, we were feeling ready for the next, more active stage of the honeymoon. We could see Mount Kinabalu from our hotel standing majestically and intimidatingly high at 4095m and were more than a little nervous about starting our climb from sea level. A 2-hour drive takes you up to 1790m and from there it's down to leg power. The first day involves a 4-6 hour hike to 3200m consisting of steps, steps and more steps. Arriving at Laban Rata, we stayed in the main accommodation house which is comfortable, warmer than expected and has excellent food. I think the main house is best as the other, smaller outhouses are freezing. You get the chance for a few hours' sleep before waking at 2am for the summit climb to see the sunrise. At 2am you continue with head torches under a star lit sky. The steps continued to punish the legs and we struggled for oxygen as the altitude started to take its toll. The stairs finally came to an end as we approached the granite surface that Mount Kinabalu is famous for. We walked and scrambled across the granite, aided by ropes on particularly dangerous sections and at this point, just wearing t-shirts. Even at 4,000m in the middle of the night, it was warmer than it had been in the UK when we left home! This night trek is unique, and climbing over the lunar landscape is enjoyable although tough. We conquered the summit before dawn and we sat on top of the world, in the dark, awaiting the sun. You can't fail to be impressed as the stunning red sky appears and slowly the whole area is lit up in the dawn of a new day. You can see the sea and Kota Kinabalu in the distance and the spectacular granite surface we had just climbed came into view. It really was an incredible sensation. The only problem was that we had 10km, 2,500 steps and 2,300m downhill still to go! The climb down is tougher than the way up and we felt about 90 years old as we finally collapsed at the bottom! If you take one walking pole per person, you will find it easier walking backwards at times or even sideways just to use different muscles! It was definitely worth the effort and the aching legs but we were surprised how tough it was. I would highly recommend the climb but you will need a good level of fitness and I would factor in 5 days afterwards for the legs to fully recover. We recuperated at the Shangri-La Tanjung Aru - another great hotel, 10 minutes from town with a perfectly located bar to watch the sunset whilst having a beer or cocktail. 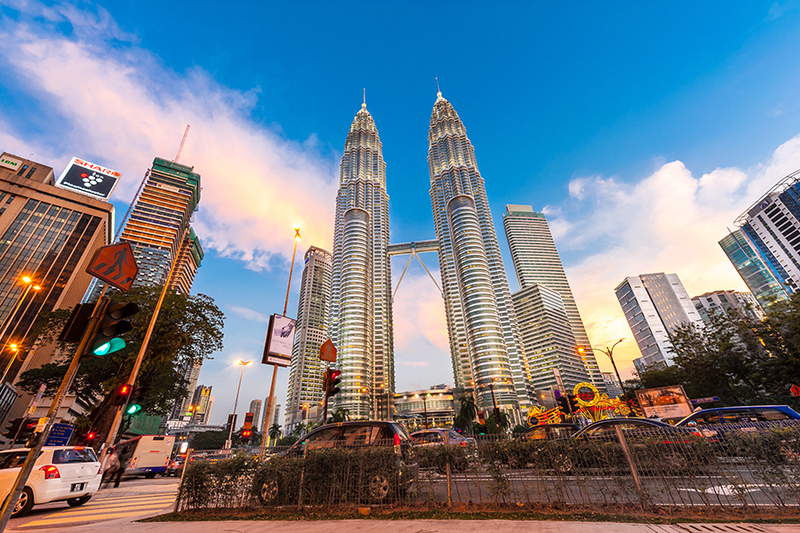 Kota Kinabalu is a modern city on the waterfront with shopping malls, restaurants, bars and a night market selling just about everything. It's worth a day looking around town but you don't need much time - you visit Borneo for its natural beauty, not its cities. That said - Signal hill observatory is worth a visit for panoramic views over the city. Mulu National Park in Sarawak is a world heritage site protecting the jungle covered limestone hills that are home to a huge variety of wildlife and some of the biggest cave systems and chambers in the world. We first explored Deer Cave, the largest cave chamber in the world and home to over 30 different species of bat totalling 2 - 3 million. The cave is so vast you can fit St Paul's Cathedral into it several times over and you may have seen it filmed on an episode of Planet Earth. You can see bats nesting on the roof and huge mountains of guano on the floor. Swifts live here too and you could hear them using echolocation as they flew around the cave. As sunset approached we witnessed the spectacular flight of the bats. For 45 minutes they exited the cave in groups of hundreds of thousands, making a corkscrew trajectory to deceive any hawks or eagles that would be hunting them; a truly remarkable experience. We also visited Lang's cave and Wind cave with very impressive formations of stalactites and stalagmites and lastly, Clearwater cave with a crystal clear river running through it. This is the longest underground river in south-east Asia and the longest cave system in the world at over 100 miles. I would highly recommend a trip to see the caves and bats. If you have more time, there are several treks available including a trek to the natural phenomenon called the Pinnacles (if you still have any appetite for walking after climbing Mount Kinabalu!). If you're feeling adventurous, you could try caving trips ranging from beginner to advanced level but we opted for the 500m canopy walk (40m above the ground) and a kayak trip along the quieter tributaries of the main river. We stayed at the wonderful Kapalai resort where you can sit on your balcony every afternoon as a large family of turtles swim by! Rays, trumpet fish, reef sharks and many other fish are also abundant. The first night we slept on the balcony under one of the best star lit skies you could ever dream of- shooting stars, hearing the waves lap underneath and even a lightning storm on the horizon. Paradise! We did a few dives around the resort which were very good but the main attraction is the day in Sipadan itself, a small island that drops off rapidly to a staggering depth of 700m. You do four dives overall and the reef wall dives are incredible; just make sure you keep a close eye on your depth gauge as it is easy to find yourself sinking with no bottom to stop you. It is easy to see why Sipadan is consistently voted one of the best diving spots in the world. Our only disappointment was not seeing a Whale or Hammerhead shark but that just leaves something to come back for! All the dive sites are great but Barracuda point is jaw dropping. You will be hard pressed to see more reef sharks, turtles, barracudas, and Jack fish anywhere else. My highlight was swimming amongst a huge school of Jackfish as they circled in the thousands with you right in the middle of them. Our last destination in Borneo was the beautiful hotel of Gaya Island Resort, a 15minute boat ride from Kota Kinabalu. The newest YTL luxury property is a perfect place to unwind. One night was spent on a sunset luxury cruise – a very romantic ending to the perfect honeymoon trip. I cannot recommend Borneo enough as it has something for everyone and with so much to see, we barely scratched the surface. It is such a varied and beautiful country with very friendly people, it really did live up to expectations. It may not be one of the cheaper destinations in Asia but it is definitely one of the most special. Do be wary that it can be quite difficult organising flights between destinations and they may not connect easily. 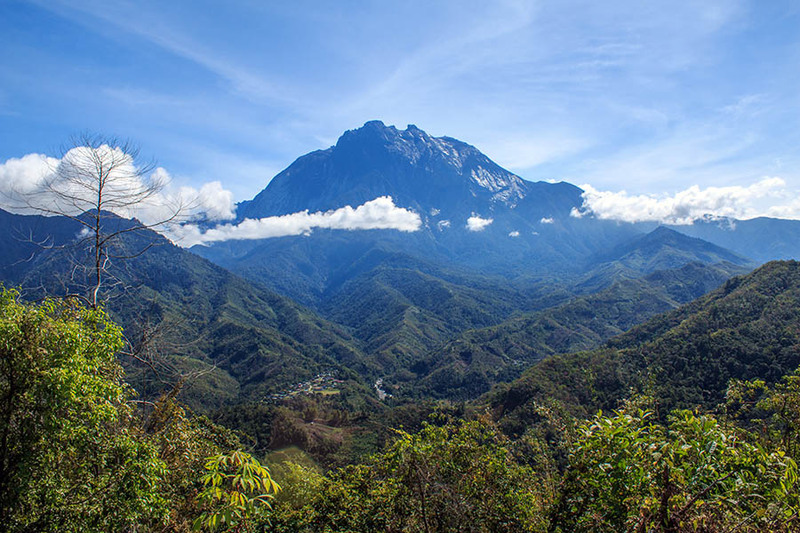 I would recommend a bit of planning and to book up activities in advance such as the Mount Kinabalu trek. A great read is Redmond O'Hanlon's 'Into the heart of Borneo', following his 1980s journey into the unknown central highlands in search of the lost rhinoceros of Borneo. 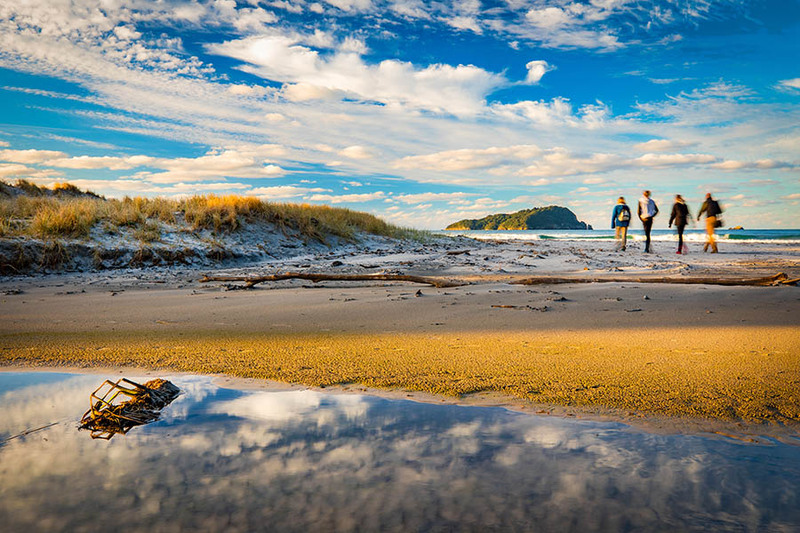 It gives a fascinating insight into the people and nature of this incredible island! 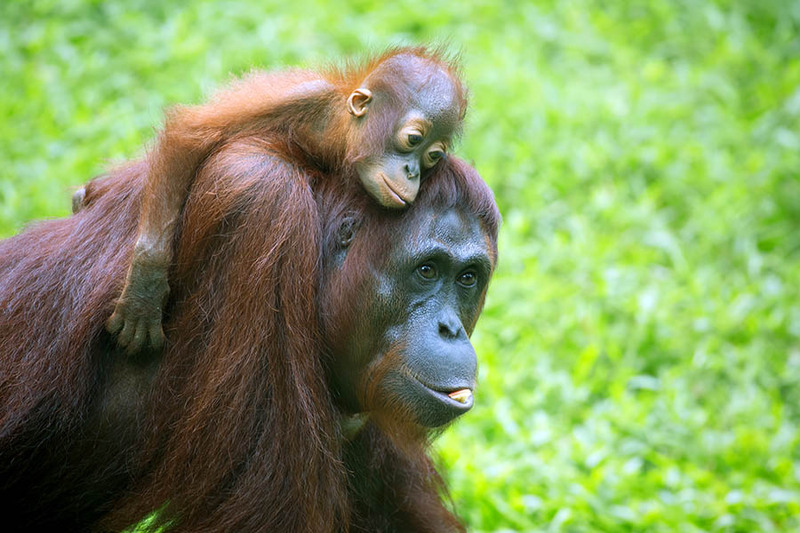 Interested in a Borneo honeymoon? If you’d like to visit any of the places on this trip, or perhaps you'd like to book your own honeymoon in Borneo, I would love to help organise your trip - here's an itineray that's very close to what we did. 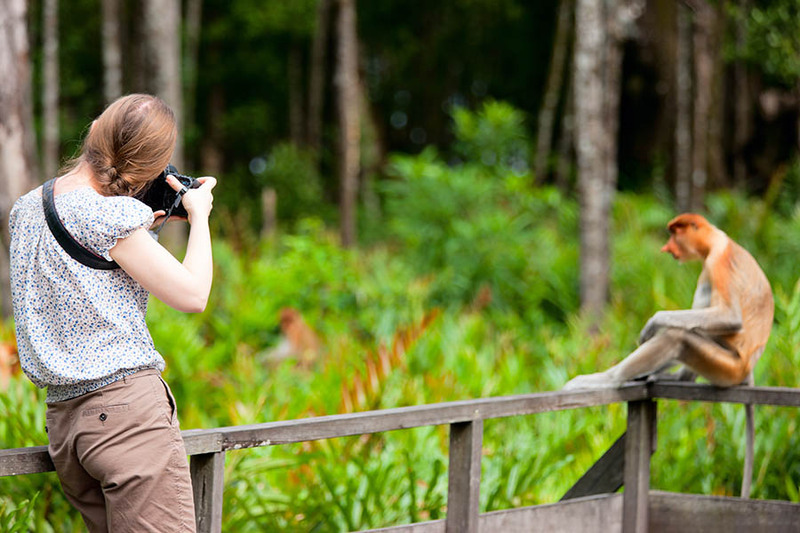 I can tailor-make every aspect of your trip to suit your style and budget and show you how to include Borneo in a multi-centre holiday - see our tailor-made Borneo holidays for more ideas. Please contact me for help with flights, hotels and pre-booking trips in this once in a lifetime destination.